Be quite. Don't talk. Walk around, being with people while not talking. You'll be in your life, not in your head lost in words. A gift you become to all around. A slow journey is the fastest way to the present. There's only one day. It's always today! every tomorrow will be "a today". 105 Stanley Hall - a wonderful, new, fresh lecture hall on campus. 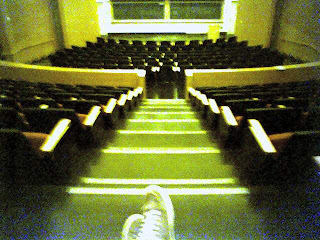 During the past eight years, I used large lecture halls for teaching "Introduction to Computers"; now it's meditation. 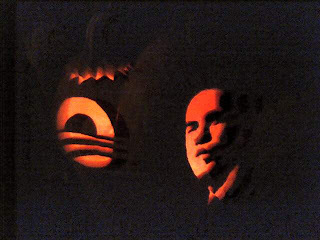 Two more mobile pictures of Obama pumpkins. I'm amazed by all the art this campaign has produced! 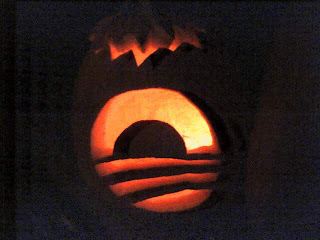 An Obama Halloween pumpkin in Berkeley. Give up the "idea of happiness" in order to be happy. Holding to an "idea of happiness" blocks happiness. For happiness is. If happiness strictly depends on this or that, then we are not free. The greatest discovery is that happiness is already within us; we find happiness when we uncover it. Of course we take joy and confort in our home, family, friends, and lovely things we acquire along the way. But, that which is given to us will be eventually taken away. There is another dimension of life; call it the absolute, which just is. The ancients called it "Atman" - the imperishable soul that is a spark of the universal Brahman (or God infinite) We are THAT as well as our relative fleeting life. Jesus may have been speaking of THAT when he talked of "Life more abundant". Phone interviews / no travel / Heidegger / far is near / near is far / human awareness / reality / dimensionality / reality / technology / 3000 B.C. / Dave Bohm / quantum physics /enfoldment / parallel universes / importance of thought / the marketplace / Kierkegaard / skimming life / no purpose / duty / media / news as entertainment / end of thought / duty to think / elections as circus / public philosophy / the duty of freedom. 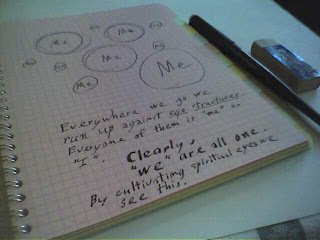 run up against ego structures. What do you turn to? I just wanted to write a short letter thanking you for your contributions to iTunes U. I am currently fighting in Iraq and your lectures throughout the course "Time, Money, and Love in the Age of Technology" have given me something to look forward to when I am not working. Your topics, and subsequent discussions, help me to stay sharp and always keep my brain turning. I just recently listened to your lecture on "The Good Life". I found this one especially intriguing and found myself discussing it with other soldiers that I work with. Anyway, I again thank you for your contributions and look forward to a time that the Internet connection is fast enough here allowing me to download more. I personally thank Steven Turner for his letters and comments. He inspires me to go on with teaching! Certainly, makes all this work worth the effort. I feel that people like him are truly making this a safer and better world. 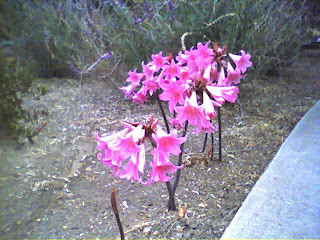 A sighting of "naked ladies" upon my morning walk. Lately, I've been calling Mike Scott, founder of ThoughtAudio and XLRQ, on the phone and capturing our dialogues with a digital recorder. We began in a "Zen" fashion - not knowing where the dialogue will take us; for, indeed, the quest for truth takes us where it will. In my talk, I mention the "Ten Bulls" from the Zen Buddhist tradition - especially number ten, representing someone enlightened who has completed the spiritual journey finally return to the marketplace. 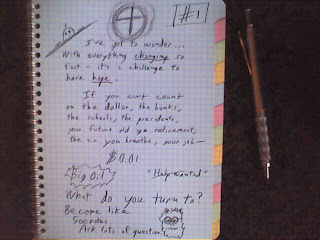 Below is that the 10th drawing as the corresponding text. It's one of my favorites. Comment: Inside my gate, a thousand sages do not know me. The beauty of my garden is invisible. Why should one search for the footprints of the patriarchs? I go to the market place with my wine bottle and return home with my staff. I visit the wineshop and the market, and everyone I look upon becomes enlightened. True meditation releases mind's identification with objects; mind turns toward the source light of awareness itself without objects. The purpose of true meditation is to break the mind’s identification with objects – so that the mind simply turns toward the source light of awareness without object. This is the true spacious, skylight radiant quality of mind that we glimpse and sustain as we awaken. Like “being in love” when the whole world seems brighter, more real, more filled with love all around. The difference is that this awakened condition is not dependent upon any object or specific person. It just IS. This article appeared as a Syllabus "Case Study", July 2001, page 10. Even after all these years, I find that it still holds up. It was exciting to create a multi-directional Socratic dialogue with a class of 500 students. What I did not know at the time is that it takes so much energy and attention from the lead instructor! I don't think I could do that now. 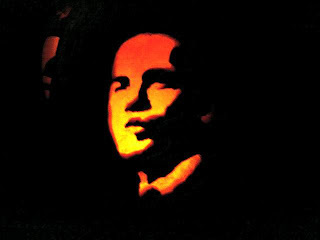 It would require several well trained co-instructors to make this to work on a permanent basis. 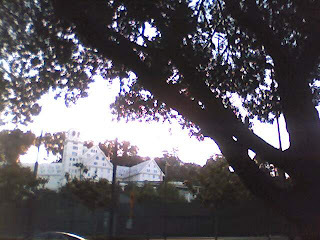 Americ Azevedo has 500 students in his Introduction to Computers course at the University of California, Berkeley. Despite that, his teaching philosophy embodies the principles of the Socratic method. What makes this apparent contradiction possible is discussion software, a technology that enables him to “teach” and interact with his students outside of class in a flexible, dynamic way. Discussion software connects him, his students, and the TAs for the course, and allows them to communicate much more directly and frequently than they otherwise could. Azevedo, who has taught courses in computers and human/computer interaction at several institutions, has always believed that the Socratic method is right approach to teaching. 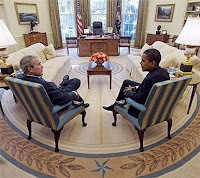 In courses with smaller enrollments, he has usually relied upon open-ended questions and in-class discussion while simultaneously tinkering with online discussion formats to supplement the ongoing Socratic dialogue. However, faced with the prospect of teaching hundreds of students in a large lecture hall three days a week for 50 minutes, Azevedo knew that in-class discussion would be nearly impossible and that he’d have to rely on online discussions to achieve his goals. Azevedo’s Introduction to Computers also has a lab requirement. “With 18 sections of labs 4 hours a week, we’re using all the available lab space,” he says. In the future, he hopes to use discussion software to enhance the laboratory experience, allowing the students in each lab section to communicate with each other and with the TA on projects. He’s also planning to experiment with a CyberLab that would replace some of the lab sections. When movies first came into existence, producers created motion pictures that duplicated the look of live theater. They failed to see the possibilities inherent in the new medium of film. Likewise, faced with the revolutionary possibilities of online education, many educators still think in terms of converting their lectures into static web pages and relegating their own teaching rule to grading online quizzes and taking online attendance. Meanwhile students are eager to embrace online education. Not having to commute and having a flexible schedule are such powerful motivators that investors like Michael Milken are crawling over themselves to corner an online education market which promises to be extremely lucrative. Financially stressed administrators, businessmen/educators, and excited investors are lured by the prospects. Online education has been hyped as a way of reaching a worldwide pool of students, paying fewer teachers, having relatively lower overhead, and tapping into the concept of "cradle-to-grave" learning. The financial and marketing advantages are obvious. Unfortunately the spirit of online education has often been reduced to page after page of linked web materials that the instructor has put together - constituting about the most boring "slide show" you can possibly imagine. Some of these online lecture sites have as many as 40 pages of content. Perhaps that's impressive to people who aren't taking the course. But imagine a student sitting in front of the monitor reading all that. Since reading from a monitor is harder on the eyes than reading from a printed page students often print these pages out to read them . As one of my students told me, "I used up a lot of ink jet cartridges printing out those so-called lectures!" This canned type of approach is often used to represent what online learning is all about, but I think it has nothing to do with a true teaching experience. Interactive textbooks on the web are valuable, but they have distinct limitations. For instance, there are no human beings on the other end to interact with, no one to explain a difficult concept or engage a student's interest and creativity. Let's remember that without interaction institutions that take up the banner of online education are really only championing a poor variety of correspondence course. A March 1998 article in the New York Times chastised the University of Phoenix for the "drive-thru" flavor of its online curriculum. The concept of online education is here to stay, but in order to sustain its momentum we need to examine the quality interaction between a student, a teacher , and course material - not just technological innovation. There are some very expensive distance education systems out there that run on pure technological power -- teachers hardly have to check in on their classes. Quizzes are graded and stored automatically. Students respond with less attention because they are getting no attention from living teachers or from each other. Many of these quick-fix systems seem to provide conferences and chat features as an after thought. The primary focus being on creating large amounts of text materials to simulate a lecture. Even when translated into beautiful multimedia web pages, you can't disguise the fact that something is missing. In fact, the more multimedia bells and whistles that are added, the further the shift away from teacher interaction. The rules in cyberspace are the same as real life. Its easy to fall asleep when you are being lectured at. No one pays much attention. However, when a teacher and other students can engage you online, or in person, there is a creative tension that makes you think and grow intellectually. Education means, "to draw out." Socrates, in his great dialogues, worked with the idea of drawing out the knowledge that people had within them. Computers don't necessarily do this. A talented teacher, coaching and guiding a student, is the essence of real education. The Internet and Web have created new environments for talented teachers to thrive. Dialogue, research results, information, and resources are vast. Once I believed that I wanted to rid myself of the books. A paperless classroom, so to speak. I just wanted to post content on the web and link to online resources. But, I've experienced a turnaround. Books are great, few classes should be without them. Books give the class depth, and a common footing. In addition to a class book the addition of Internet resources make for a very rich and accessible environment. Other instructors have told me that web-savvy students in their classes have contributed a great deal to their fellow students. Those students that can immediately find leads to deeper sources are quick to share their tips. The web encourages them and they eagerly communicate that enthusiasm. That is using the medium for what it really is. I've developed a method that I call the Socrates Online Method to help harness student enthusiasm in a virtual classroom. My technique is not software dependent like many other distance learning systems. Rather, the heart of the teaching method is an ancient, time-honored, and deceptively simple technique: dialogue. Socrates, the ancient Greek philosopher, recognized dialogue as the best way to maximize the learning process. One-on-one communication between student and teacher is emphasized in this method. Socrates Online is NOT a means of quickly throwing up web pages and canned materials onto the Internet. The shortsightedness of the "convert all your text materials into web pages" approach misses the whole dynamism of online learning, it fails to see this exciting medium as something completely new. Students who simply read lectures and assignments from a screen are not actively and personally engaged by their teachers. Students in this stultified environment will quickly tire of reading dated materials from a computer terminal and long for the social interplay of a traditional classroom. This method fosters a rich exchange between student and teacher, between student and student, and between the online class and the vast resources of the Internet which are immediately on hand. Asynchronous dialogue allows students and their teachers to manage their own learning times. Students who previously could not take classes due to busy career and family schedules are now freed to enrich themselves and their careers. And, unlike traditional classrooms, where students may be hesitant to participate or are hampered by one or two outspoken students online conferencing allows all students to provide input. Another advantage to online communication is that it allows all students equal time to express themselves. 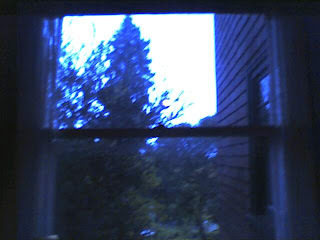 No one interrupts another; postings in this dialogue format can be simultaneous. Responses and questions can be written thoughtfully, since the student is able to take his or her time. 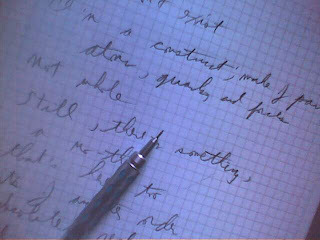 Since online conversations are, at present, text-based this medium increases the development of writing skills. The World Wide Web can be a medium for conversational teaching software that benefits both students and teachers. Teaching dialogues can also occur asynchronously around the world and around the clock since people do not have to be on at the same time zone or on the same schedule. The skills and education necessary to succeed come within the reach of busy working adults and parents. And with the second-by-second advances in job-critical technologies, learning to stay competitive will be an ongoing process for an ever-growing group of people. In online learning sessions, which are structured around dialogue, the computers don't eliminate teachers. Talented teachers are needed more than before. For example, with classes in Tax Law at Golden Gate University, we found that online students with a good teacher actually performed better than their counterparts in traditional classes. Attractive, easy to read and navigate web pages are extremely important entryways into the virtual classroom, but once you are in the class, the web-based conferencing is the heart of the online classroom. Good online teaching means person to person interaction. Just like real life. Human attention is the currency of quality. Don Alverto Taxo, a Quichua elder and Iachak (community leader/healer), speaks of the ancient prophecy of the eagle and the condor meeting to bring a new harmony into the world. Don Alverto invites us all to trust the universal human intuition to bring greater harmony into our lives, and to seek after life's deeper meaning. For more related videos, biography, and links; please go to An Invitation. 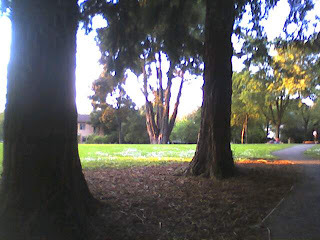 I love walking around Berkeley. On an after dinner walk this week, I found a street that looked and felt like rural Pennsylvania. 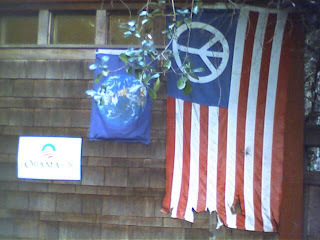 First, I found a house with an Obama poster, an Earth flag, and an old American flag converted into a Peace flag. 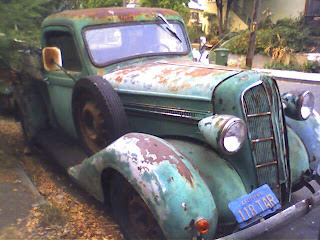 Second, was an ancient rusty truck; still parked on the street! Notice the license plate numbers. The sunlight had turned an orange-red color caused by smoke from 800 fires north of Berkeley. It was being on another planet with a different sun! Our work, our labor, is to awaken to our true nature which was forgotten due to false identification with the content of consciousness. The theory and practice of meditation help us again realize (make real) our true nature. When I speak, write or listen to these words, I am in the realm of theory; when I take in the meaning of these words, I inform and transform myself along the path of self realization. It’s very, very important to remember that words are not what they refer to. “The map is not the territory.” Speaking or writing about meditation is not meditation. Meditation is in the gaps between the words, between the thoughts. But the word “gap” is not the same as a gap itself as-it-is. Get past the word – allow the great silence to come. At the point of great silence is the great labor of liberation. Today... be silent... let go, let it be. A time for cleanup of our inner and outer life. Some of the greatest Zen masters were cooks and janitors. Some of our best days are when we do cleaning up; moving around from thing to thing, cleaning, sorting out, and putting everything away in its place. At the end of the day, you look around and feel happy with the sense of clean, clear spaciousness all around. Failing to acknowledge our true wealth we keep grasping for more, like hungry ghosts who are never satisfied while constantly eating! We are born with true wealth, but constantly forget to realize the wealth we already have. Failing to acknowledge our true wealth we keep grasping for more, like hungry ghosts who are never satisfied while constantly eating! Thus, we go about despoiling the earth, corrupting relationships, and twisting societies into grotesque forms that promote needless suffering for ourselves, others, and the earth as a whole. Realizing true wealth leads to personal, interpersonal, and transpersonal fulfillment. Furthermore, the long-term survival of life on earth depends upon true wealth realization. We need deep psychological and spiritual healing of individuals, groups, communities, nations, and the earth. The bedrock of this healing is a return to this present moment, not in a selfish, narrow way, but in a way that includes the totality of what is here–there as well as past–present–future. It is nothing less than the ancient ideal of enlightenment of all sentient beings. 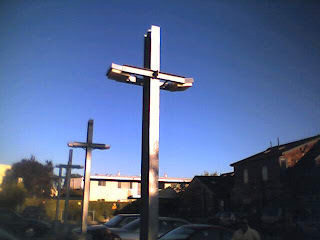 These crosses are parking light polls. But they are suggestive of the Cross. I walked by them for over a year without noticing what they looked like. Reminds me that the mind sees so little of what's "out there". Is time poverty the price of progress? Computing power doubles every two or less years; yet, our work day gets longer. We’re more scattered with less time. The idea of "time poverty" naturally came up while lecturing on Moore's Law - which states that computing power doubles every 18 months. Suddenly I asked "Why if computing power doubles every two or less years, is it that our working day does not go down? Why is it that so many people now complain about having too much to do? Why do we complain so much about not having enough time?" For decades we have refined automation, labor saving, time saving devices, and computers do our routine labor and thinking for us. 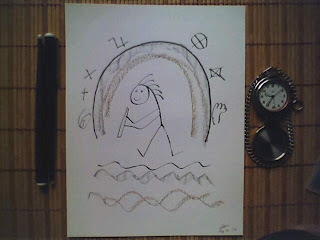 Elusive is the dream of a world with time for loved ones, time for creativity, and time for real self development. A stall wall aphorism found in the Physics Department men's restroom. Good metaphysics! Sun about to rise over the ridge. Happy to be alive and healthy this early morning. All day, or for just one hour: no radio, no television, no computer, no phone, no reading. Stay with yourself. Hear yourself! Much will be learned. It’s normal, natural to want to be entertained. We’re all like children. We want to be distracted from ourselves. Our “self” in the sense of the small self, the ego, engages in a painful struggle for against a hostile world. Call it reality. It wants to withdraw from the battle. Listening to the news on the radio; or, watching “reality television” (where we tune into the lives of other “real” people) gives us relief from ourselves. We also keep going to our computers or phones to be thrown outward to somewhere outside our little self. I’m not saying that radio, television, computers, phone and books are bad – I’m saying that to use these to escape deprives us of the precious opportunity to come closer to our big Self – the ground of our consciousness, which is also everyone else’s consciousness. This is the ultimate reality experience. Life is short; we have no time to waste. Be all you can be. 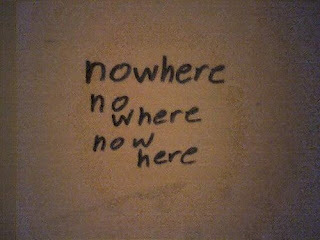 Be here now. Afterwards, take a break; turn on the radio, TV, computer. Remember to come back again to your Self, again and again. Walking around in the early morning before the sun comes over the hill. 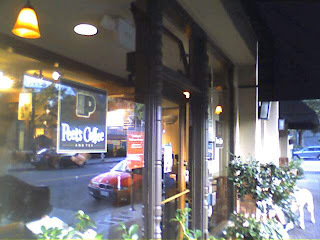 I love go down to Peet's in the morning to pick up a cup. Life is good. "Success is not directly related to time", said Mark Allan. Otherwise, internet millionaires could not be rich so fast. Time moves at the speed of thought! In a flash we can leap into another dimension. Success, money, and time are related in that “leap” like way – which is to say that they are not directly related. In one hour you could make $1, $10, $100, $1,000, $10,000 or more. It’s close to magic how money really is. Close to the true nature of thought. In a year, you could go from middle class to rich levels of wealth. And, wealth has many meanings here. Time moves at the speed of thought, money is a little slower, money is a link between thought and matter. My first born was only a few years old. He overhead me complaining that I was not making enough money. He said, “Dad! I have the solution. Just make more money every hour.” That was many years ago. If we value our time more than money, we may find ourselves with more time but less money. If we value our money more than time, we may find ourselves with more money but less time. What we value is what we put our attention on. The usual logic is “either-or”. So, the way out of the paradox here is to embrace both money and time. The world comes into existence when you awake and goes out of existence when you sleep. You are the world! During sleep you live in a world of dreams, and sometimes utter quiet. Of these two states, the dream world is most like waking life. The quiet state is most like the condition of total enlightenment - which is beyond the world altogether. Is not life itself, when recalled (as memories) like a dream? 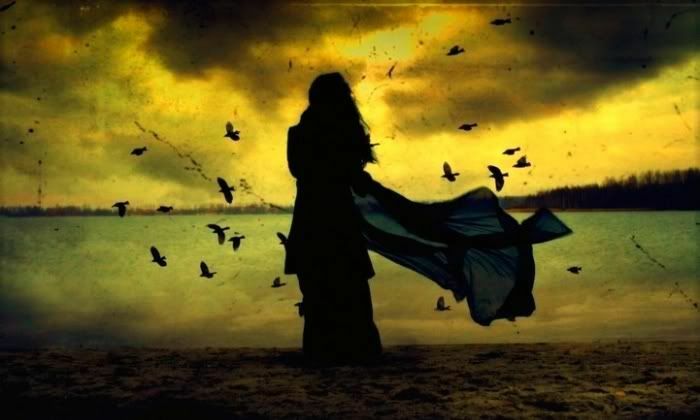 A dreamer sometimes realizes they are in a dream, and thereby breaks the power of the dream. It's a blessing when someone asks you about meditation; it supports your own meditation. A mediation question is a gift. It turns our focus to the fundamental nature of our consciousness. It humbles us, because so much is at stake: the mind of the person asking. Answer carefully from the depths of your heart. Admit what you don't know. Thank the questioner, for they have compelled you to return to mediation in that moment. Only in meditation, can a question about meditation be answered. Good to be alive. Just walking. Mystical artwork. Seen on Telegraph Avenue near campus. When I was a kid living on a diary farm in Los Angeles, our telephone line was shared by four families. It was called a "party line". The World Wide Web opened up social networking sites that expose us to each other's private worlds and fantasies. But, when I was a child we had the four line party line. I loved it! When my parents where in another room, I would quietly pick up the phone receiver. Suddenly, I'd hear a phone conversation between two people who where strangers. It was exciting! A glimpse into another personal world. Actually, I was too embarrassed to listen for more than a few seconds. Just to know that they were there - to know that I could hear them was enough. A bridge had been made between two private worlds. Today's technologies provide more and more tools to hear and see each other's private worlds. Even mainstream broadcast television offers "reality TV" - we can look in continuously the life of a family as they go about their days. Now, we've got lots of "party lines"! To go for "progress" in meditation makes enlightenment a receding horizon. Effort works against us. Sit and wait. Grace may come. This issue of progress in meditation comes up often. Students tell me that they are not making any progress at all. But, the problem is that meditation is not about progress - it's about giving up control and surrendering to what is. What is, is what is - both outside and inside. How can there be progress in the realm of surrender. True surrender is giving up control. So there may be no progress in the sense that the ego is controlling how things will go. If the ego must control - that is not meditation. If the ego steps aside - the very idea of progress goes away! That is meditation. Sometimes the mind is confused & chaotic. Just watch it. Trying to change it, will only add another layer. Just watch it. It passes. 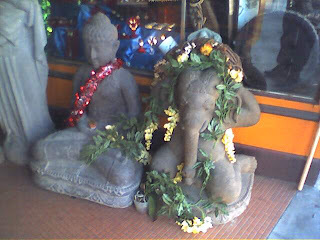 Action & Stillness, Saturday, June 23rd, 3-4 p.m. - presented at Elephant Pharm in Berkeley. Image from Daily Zen Greeting Cards.